"Did you hear that?" Toad whispered. "Yes, it is the outside door" Sal whispered. "Did you not lock it when you came in?" "I..." He could not remember anything he had done before he had tasted her. "I think I did." The footsteps grew closer and closer; whoever was coming made no effort to remain unnoticed. As the steps drew nearer, Toad twisted his shoulders and wrapped his arms protectively around Sal, covering her face from anyone who might see her. He shifted even further and pushed her behind him when the intruder pushed the bedroom door open and showed himself. Toad flinched, anticipating the blows when Sal&apos;s father beat him to a bloody pulp. There being no good way to also hide his own face at this late juncture, he brazened it out, grimacing. "Uncle Haverford. It is a... surprise to see you." The duke&apos;s amusement was patent. "A surprise to see me in my own house, Abersham? Much like it was a surprise to find your don in his own study?" He arched one brow in sardonic question. "Did I not tell you only hours ago not to take your clothes off in a room you haven&apos;t paid for?" "I would ask what you are doing here, but it is quite obvious, isn&apos;t it? My bed, Abersham? You couldn&apos;t find a place in your own house to take your wench? Did you not just give your father your word you would remain home?" Haverford sighed and rubbed his temples, shaking his head. "I apologize for the interruption, young lady, but you are going to have to leave. I will have our coachman take you wherever you wish to go." At first, Haverford didn&apos;t seem to hear it when Sal said weakly, muffled behind the blanket and Toad&apos;s chest, "I live here, Papa." Toad cringed again, waiting to be hit. 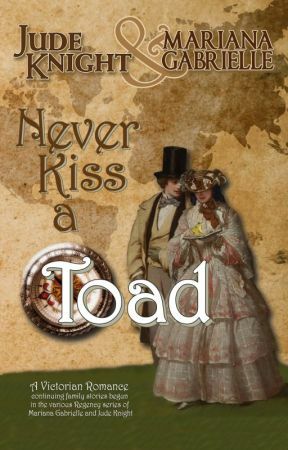 Haverford&apos;s mouth dropped open, then closed with a snap, as though he were taking a bite of Toad&apos;s throat. "Sally?" The duke&apos;s face lost all its color. "My baby girl?" Sally sat up. "It&apos;s not what you think, Papa." "What in the name of God are you doing in bed with this scum-sucking, bottom-dwelling encrustation?" Haverford&apos;s temper exploded more spectacularly than Toad had ever seen. From the look on her face, more than Sally had ever seen as well. At the top of his voice—loud enough to be heard in every corner of a very large house—Haverford yelled, "WELLBRIDGE! I am going to kill your heir!" Oh, dear Lord, were his parents here? Now? He hadn&apos;t thought to ask where they would be this evening, happy only to know they would be going out. Toad scrambled to his feet, keeping Sally behind him. As he grabbed his shirt off the back of a chair and tugged it back over his head, he tried to talk his way out of trouble as fast as he could. "Uncle Haverford, I swear, it isn&apos;t as bad as you think." Haverford ignored him; didn&apos;t appear to even hear him. "I am going to choke the life out of you, you miserable dunghill." "Nothing happened, Papa," Sally says, looking around Toad&apos;s shoulder. "Get away from him, Sarah," Haverford ordered, dropping his voice, the soft contemplative hiss somehow more threatening than his former roar. "I am going to rearrange his pretty face." "No, Papa." Sally pushed her way under Toad&apos;s arm and stamped her foot. "You must not hurt him. You will not. Nothing happened." She stamped her foot again, reaching behind her to pull Toad against her back as if she would shelter him. "Nothing happened? You will argue &apos;nothing happened&apos; when you were lying in bed—in that bed..." Haverford glanced at the painting of the bare-breasted woman, closed his eyes against some memory, and shuddered. "...with a known rake, he all but naked, looking as though you&apos;ve been tumbled twice-over? Do you take me for a fool, Lady Sarah Grenford?" His voice was rising again. "For I am not one. And I know better than any man—certainly better than this boy—why he would bring a girl here, to these rooms. Why he would bring an innocent here." He shuddered again, and his voice dropped. "You have no restraint, Abersham; you prove it time and again. But this is beyond the pale." Showing rather less restraint than normal, Haverford grabbed for Toad, the movement arrested only when Sally shifted to place herself between them. The tendons in his neck distended as he once again bellowed, "WELLBRIDGE!" "I tell you, nothing happened," Sally insisted. "I am not ruined. I am still a maid." 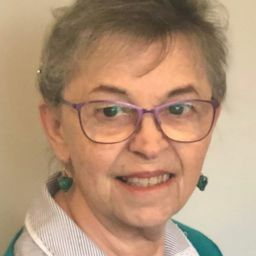 Toad and Haverford both startled when her voice took on the exact tone of her mother: "And I will not be ruined as long as you keep your voices down." In a lower tone, Toad likewise vowed, "Nothing irreparable happened, Uncle Haverford. I swear it. I swear it. She is still a maid. I swear. And I will... I will do the honorable thing, Sir. I swear that, too." Toad put an arm around Sal and tightened his grip on her shoulder, as though to reassure her. Haverford sneered. "Of course you will, Abersham, and quickly, too. Tomorrow, if my word holds good with the Archbishop." "Yes, Sir. Tomorrow will be fine." Tomorrow would be wonderful. Tomorrow Sally would be his, and no-one would ever part them again. "No, Papa," Sally said again, pulling away from Toad and separating herself from both men, taking up a position across the room, near the blazing hearth. "I will not marry Lord Abersham." No? What did she mean, no? "You cannot refuse me, Beauty," Toad begged. Turning to him, reaching out to take his hand, she said, "David, I am conscious of the honor you do me, but I refuse your proposal." "Do not dare call this princock by his Christian name," Haverford snapped. "He is Lord Abersham to you. And what do you mean, you refuse?" Haverford growled. "I certainly refuse. You and I know I am yet a maid. Only you and I and Papa know that... that appearances are against us. You told me yourself only an hour ago that you did not wish to be wed. I refuse absolutely, and if Papa drags me to the church, I shall go on refusing." "When I would give up all to make you my bride?" Toad reached towards her, but checked himself at her father&apos;s sudden movement. "You must let me make things right, my sweet." Sally lifted her chin, proudly. "I&apos;ll not have you give up anything for me, David. Not when the scandal might still be contained." "No." Haverford&apos;s quick rage is passing into mere anger. "No, Sally has a point. Abersham. You will be an appalling husband and will cause my little girl naught but heartache, and that will not do. Have I your word as a gentleman that you did not..." he shoots a worried look at his daughter. "Did not complete the act?" "You have my word, Sir, as a gentleman." Well, that might be a bit . He wasn&apos;t looking very gentlemanly currently, painfully aware his father had cited his &apos;word as a gentleman&apos; only hours ago, when not setting guards on his rooms at Dalrymple House, where he was meant to be yet, contemplating the depth of his depravity—not furthering it. His father was going to kill him, if Haverford didn&apos;t do it first. There was not even the remotest chance of Toad living through this debacle. He would be dead in a matter of minutes. As if on cue, the sound of his worst nightmare appeared: his father&apos;s voice. "Haverford? Are you quite all right? Have you found an intruder and been killed?"